Enhance your flat roof extension with a marvellous centrepiece and an influx of light - uPVC Roof Lanterns. Marathon Windows supply and install roof lanterns throughout Epsom, Surrey, and surrounding areas. You can add a roof lantern or skypod to any flat roof, extension and orangery to brighten up your home. Our uPVC roof lanterns are a cost-effective way to add height and space to a room in your home. They work as an alternative and cheaper option to a conservatory roof system without losing any of the style and quality. If you are dealing with a dim lit kitchen orangery or home extension, our pitched lantern roofs will transform and enhance your room. With so many styles and sizes available, you can guarantee a roof lantern style that will fit the size of your home. By adding this product to your Epsom or Surrey home, you can immediately brighten up a room; whether this is by creating a beautiful feature over your dining room table, or to simply use a roof lantern to create a relaxed and brighter atmosphere with an influx of light. Marathon Windows can help you find the perfect design for your property. Our uPVC roof systems are expertly crafted to offer clean sight lines and large panes of glass. This is to stop any obstructions from your view of the sky. With the option of no side rafters, your view and sleek build of the lantern can only get more impressive. Not only this, but the glass that is used within our Skypods are self-cleaning and temperature controlled as standard. Alongside the temperature-controlled glazing that we use in the build of our roof lanterns, we can also offer an expert installation which helps to promote the thermally efficient benefits of our products. When you choose our roof lanterns, you will be introducing an energy efficient solution into your property. 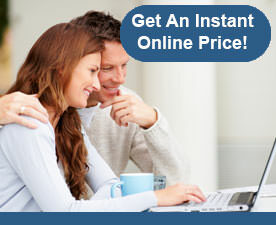 With the capability of achieving U-values as low as 1.0, you can look forward to saving money on your heating bills. Alongside many bespoke options, you can also decide to add a touch of colour to your glass. We offer a choice of 5 different glass tints so that you can complement the style of your home with a splash of individuality; Clear, Blue, Natural, Bronze, and Aqua. 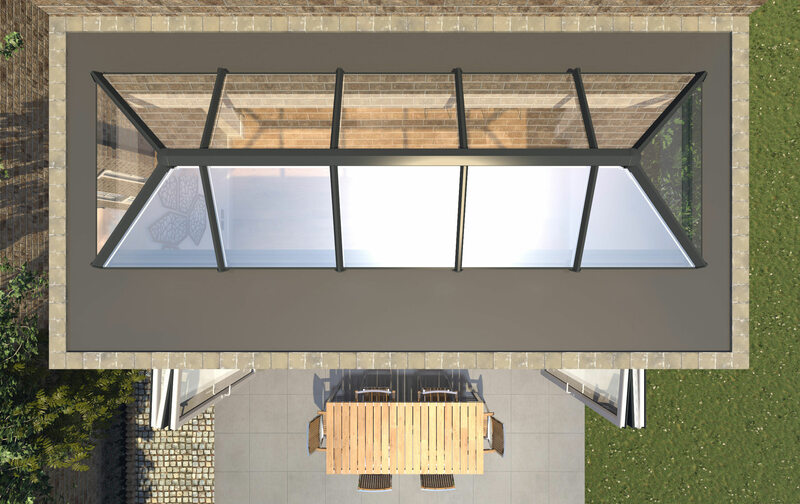 The ability to customise your Skypod roof does not end with the glass colours. You can also match your newly installed roof lantern with your existing windows and doors with a choice of profile colours; White, Golden Oak, Moondust Grey, Anthracite Grey, and Rosewood. When you are choosing colour options, you should also know that you can opt to have the internal and external frame of the roof lantern coloured. Some of our most popular colour combinations are White on White and Anthracite Grey on White. Traditional Epsom properties can benefit from our Golden Oak or Rosewood profiles to create a timber effect roof lantern. The symmetrical structure is offered in a two bar or a three bar option. The two bar option will offer a larger area of glass and sleeker frames, whereas the 3 bar option offers a robust architectural style with and smaller segments of glass. The sizing options of our pitched skypods are endless. You can choose from 1 metre to 4 metres so no matter the size of your home, there will be a flat roof lantern suitable for your extension. The uPVC lantern roofs supplied by Marathon Windows come with a 10-year guarantee. This is because they are built to last, durable, and weatherproof – making them a cost-effective investment for all homeowners. When you choose Marathon Windows as your double glazing installer, you can trust that you will receive excellent customer service, no pressure sales, high quality products from market leading brands, and an installation that will not disappoint. We are members of Which? Trusted Traders and you can see that our double glazing reviews in Surrey are outstanding. We thrive on making our customers happy and improving homes. How much does a roof lantern cost? 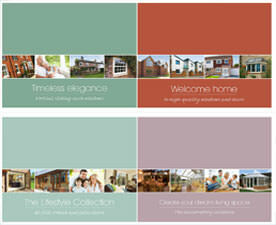 This will depend on the size, style and colour that you choose. The more additions you have, the more the roof lantern will cost. uPVC roof lanterns are a cost-effective option and are a great alternative to the aluminium lanterns. If you are looking for roof lantern prices in Epsom, Surrey, or surrounding areas, get in touch today. Marathon Windows can provide you with a free and competitive quote. Contact us on 01372740706 or email info@marathonwindows.co.uk for more information. Create a beautiful and bright room with Marathon Windows today. We supply and install our roof lanterns in Epsom, Mitcham, Croydon, Purley, Sutton, Coulsdon and throughout Surrey.